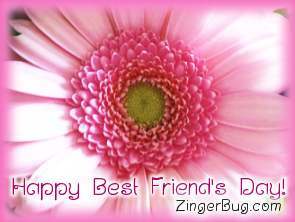 Happy Best Friend's Day Graphics & Images June 8 is Best Friend's Day. So make sure to tell your best friend or friends how important they are by sending them one of these cute comments. These comments are perfect for posting on Facebook, Twitter, or any other friend site or blog. True friends are more priceless than gold. They're there to share all of the good times and to help you through when you're feeling low. A best friend is a treasure. 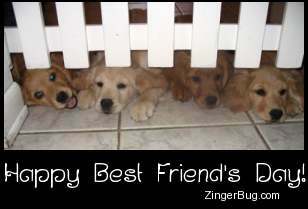 Friends Forever, BFF, Happy Best Friend's Day! 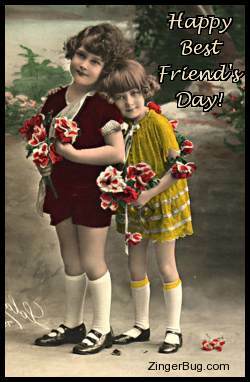 Take this opportunity to celebrate friendships new and old by wishing your friends a happy day, with these cute kitten photos, puppy photos, and glitter graphics.